With the constant increase in consumer spending since the economic downturn in 2008, consumers are constantly looking for great discounts and promotions when making their everyday purchases. But it is not just great prices, discounts and promotions that the consumer requires; it is ease of payment, payment options and security as well. The important of merchant services, accepting credit cards and debit cards has never been more evident than it is in today's market. The rise of social media, the rise of online shopping, touch and go credit cards, and instant communication of information, pictures and videos has created a society that simply needs instant gratification. Merchant services provide businesses with the solutions required to service their customer base and prospective customers in a number of different ways. 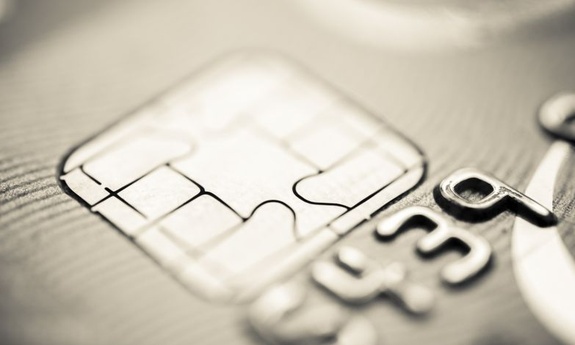 It is not solely the acceptance of credit and debit cards through a payment terminal. Solutions are geared towards specific industries with specific requirements. The important thing to realize with merchant services is that not all providers are the same. Many merchant services providers are strictly online based, or service a specific industry, very few can provide it all. When looking for a merchant services provider, take the time to go through the solutions that are available for you, and what kind of needs your business requires in regards to accepting credit and debit cards. I have outlined a few solutions below that can not only benefit your customer base, but provide efficiencies for your daily business operations. An eCommerce solution is a fantastic way to accept credit card for your business. Having an online presence in today's market is an absolute necessity. With the increase in online shopping, and shopping mentality, the brick and mortar stores are seeing fewer patrons than ever before. The reason being, not only can a customer research the product they are looking to purchase, but can also read reviews, find out cost, and eventually make the purchase all from the comfort of their living room, office, mobile device or tablet. It is also a fantastic way to get involved in social media. Promoting your business has never been this easy. The free social media tools that are at your fingers tips such as: Facebook, Twitter, Pinterest, and YouTube, to name a few, are all ways to get in touch with your customer base, and let them know about promotions, new products, or just get to know them on a more social level. This will not only benefit sales, but will also benefit your ability to market your buyer persona. The virtual terminal is ideal for businesses that typically use a delivery service, or in-field reps. That could means, service calls, quotes for a job, or even just meetings that require deposits or retainers. The virtual terminal is a secure URL provider by your merchant services provider, which enables the merchant to log in with a password and username, and manually enter a credit card transaction anywhere they are, as long as they have access to the internet. The virtual terminal can work with a mobile device, tablet, laptop or even in an office on a desktop computer. This is a great solution that provides mobility with no need for a physical terminal. For those with storefronts, or even a business that requires payment at a designated checkout area, the wireless terminal will work perfectly. Not only are you able to move around freely, and not worry about a cord, but the wireless terminal can also be used similarly to a desktop. At the designated check out area, the terminal will be use just like any other terminal, but if for whatever reason you are required to move locations within the store, or payment must be made elsewhere, this solution provides that mobility. EMV certified and Pin and Chip ready, the wireless terminal can make a great addition when accepting credit and debit cards at your place of business. Merchant services will not only increase your efficiency when it comes to accepting payment, but also offer you many different options that will work with your business needs. Look for the merchant services providers that take the time to go over the small details with you, and get to know what your business requires. Get in touch with a merchant services provider today, and see how you can better service your customer base.